Larry is president and principal of Copley Raff, Inc., a leading philanthropy and advancement consulting firm based near Boston. He is also a principal of Rising Tide Direct LLC noted direct mail and multi-channel marketing firm. Larry brings three decades of leadership and experience to healthcare, higher education, research, and human services organizations seeking philanthropy counsel and advancement results. Larry served as President and CEO of the Emanuel Medical Center Foundation, Oregon’s largest tertiary care and pediatric hospital, where he created two nationally recognized initiatives in support of community investment and donor recognition. He directed the Juvenile Diabetes Research Foundation’s $200 million “The Only Remedy is a Cure” campaign for the northeastern US. Larry is the past president of the Autoimmune Disease Research Foundation, an organization he founded to support a clinical trial addressing the central cause of many autoimmune diseases. Larry earned a Masters degree in Public Health and Clinical Nutrition from the University of California at Berkeley while working for the California Food Policy Project. This unique program employed a humanistic and interdisciplinary strategy to forge food policy for California. Larry has also co-authored two journal articles based on original food consumption behavioral research he conducted as part of this work. 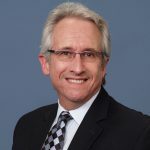 As a consultant with Copley Raff, Larry has partnered with organizations of all sizes, advising on a full spectrum of philanthropy, campaign, program design, and governance issues. His clients include four of New England’s largest multi-hospital systems, the largest multi-hospital system in the mid-west and in South Florida, numerous academic medical centers, community health centers, performing arts groups, higher education, and human services organizations. He also provides counsel to many state and national organizations including the National Consumer Law Center, National Partnership for Food Safety, American Optometric Association, US FIRST, and the Massachusetts Medical Society. In tandem with his background in public health and passion for the subject, Larry has created nationally recognized, replicable programs that complement his work in philanthropy. 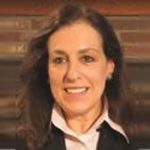 Diane Blumenson’s career as a consultant and coach to executive leadership spans over two decades. As a recognized authority in organizational development and systems dynamics, she has used strategic planning, enhanced organization design, cultural change management, team effectiveness, and strategic reengineering to transform and optimize work environments across a range of industries. Diane has extensive health, social, and human services consulting experience, partnering with institutional leaders to establish policies, build accountability systems, implement best practices, and generate sustainable cultural change. She has also designed integrated systems, policies, and practices for multi-institutional philanthropy operations, resulting in a track record of leveraging resources for improved ROI. 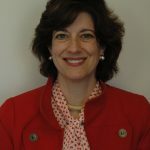 Her clients include The Boys and Girls Clubs of Boston, Dana Farber Cancer Institute, The Boston Symphony Orchestra, Partners Healthcare System, Massachusetts General Hospital, MSPCA, Brigham and Women’s Hospital, Northeastern University, New England Baptist Hospital, Phillips Academy Andover, The Bridgeport Hospital Foundation (part of the Yale New Haven healthcare system) and the Miriam Hospital Foundation. Diane is a Principal of the Philanthropy Leadership Advancement Nexus (PLAN), an organization dedicated to improving the quality and professionalism of development executives through proprietary training. The program has trained hundreds of professionals from across the United States and has been credited with providing transformational insights that have lead to increased major gift performance among attendees. 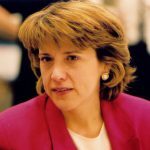 Prior to coaching and consulting in the philanthropy and corporate arenas, Diane served as President of Richardson, Reid & Associates; a Boston based human resource and career management firm. She was also the National Director of Public Information and Counselor Education for Bernard Haldane Associates, and Director of Market Research and Public Relations for Berenson & Ishim, Inc., a Boston advertising agency. Diane is a Certified Executive Coach and Relationship Specialist with the American Psychotherapy Association and a skilled public speaker with extensive media experience. She is dedicated to continual learning in disciplines that promote peak performance and highly effective organizations. 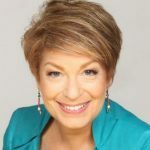 LAURA FREDRICKS is a multi-million dollar ASK-maker who, as Founder & CEO of THE ASK©, teaches nonprofits and philanthropic professionals how to confidently, willingly and successfully ask for charitable dollars. Fredricks is today’s leading authority on “How to A$K© for Money – and More of It!” She has helped organizations worldwide raise multi-millions through her unique approach to fundraising. Cancer and the Healing Power of Play and creator of the app, “Improv4you”. and emotional intelligence while having great fun and profound experiences. Beth Graham has spent her professional life in leadership positions in not-for-profit organizations. childhood education and after-school programs for low- to moderate- income families on the North Shore. A leader in educational excellence, Pathways serves 375 children – and their families – each year. denomination during her tenure there. help them realize their vision through financial stewardship. 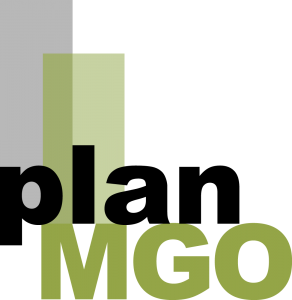 Charter Alumnist of the PLAN-MGO Master Gift Officer Immersion Training. Katelyn Quynn is VP Development and Board Relations at Hebrew SeniorLife. Previously, she was Deputy Chief Development Officer for the Massachusetts General Hospital in Boston, Massachusetts, where she worked for 19 years and helped close its $1.5B campaign. Katelyn co-authored Planned Giving: A Guide to Fund Raising and Philanthropy, which won awards from both AFP and CASE, and she co-authored three other books (Invest in Charity, A Donor’s Guide to Charitable Giving, Planned Giving for the Small Nonprofit, and Planned Giving Workbook). She is a former board member of the National Committee on Planned Giving (now Partnership for Philanthropic Planning), one of the founders of their Journal of Gift Planning, and past president of the Planned Giving Group of New England. Katelyn provided testimony to the US Congress helping to secure passage of the Philanthropy Protection Act of 1995 and was named planned giving professional of the year by Planned Giving Today. She serves on the Patron Steering Committee at Museum of Fine Arts, Boston. Katelyn is a graduate of Tufts University and earned a J.D. from the Boston University School of Law.